Just print this template out and have the child cut all four necklace pictures out. You can print this on cardstock or regular printing paper. Then have them cut a piece of yarn that is long enough to go around their neck. 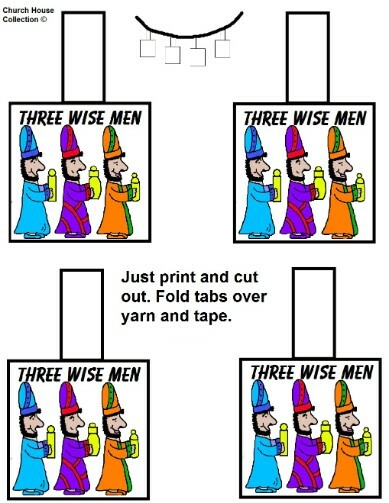 Let them fold the tab of the picture over the yarn and tape in the back. Do all four pictures. Then tie the yarn in a knot and hang around their neck. Matthew 2:6 And thou Bethlehem, in the land of Juda, art not the least among the princes of Juda: for out of thee shall come a Governor, that shall rule my people Israel.